Club Penguin Cheats by Mimo777 Club Penguin Cheats by Mimo777: Rockhopper & Club Penguin Pay Day?! Woot! Our Club Penguin Tour Guide Pay Checks are here! Just in time to go Christmas shopping! I think "sys" must stand for system or something. A penguin's name cannot have a lower case "s". OMG I GOT THE SAME POSTCARD TOOOO!!! srry for the caps but i got it and did u notice rockhopper is holding the map upside down? Yes Hmm mysterious.I think if i code it out it stands for Secret or what you said.I'm thinking,Maybe it might be person working with rockhopper. i got the rockhopper card. I got that too! I think you only get it if you have met rockhopper. I got the rockhopper from sys and paid postcard for tour guide. i've noticed something, at first it says from undefined and when you change from postcard and go again to the rockhopper one it says from sys and i think sys satnds for system and did you noticed that rockhopper has the map upp-side down? i have got a rochoper postcard too.I dont have the rochoper stamp.what is that?! i have the postcard but i dont met rochoper. I got both of them. I dont know wy. Havent met rockhopper. i got it but i accidently recycled it because i thought it was one of the other postcards anyway what could sys mean do only ppl get it if they have met rockhopper!!!! 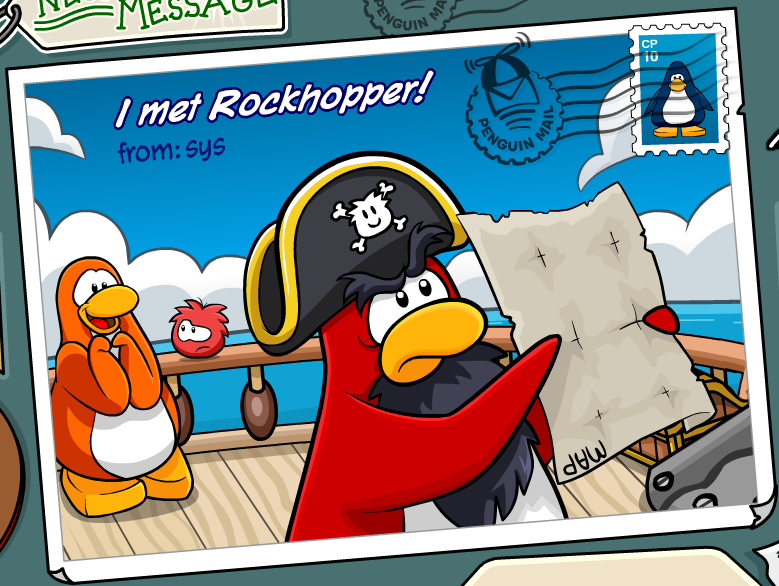 Its soooooooooo weird i got the rockhopper postcard but i like my pay cheque. Could it mean''See you soon''or''Sent you something''? i figured out who sys is he's a creator of cp i reasearched n u tube and this is what the video is called how to send postcards to the creators of club penguin without being their freind! I got that card too i wonder what it means. army70345 here,i got the same message very wierd! Maybe it stands for see you soon! Rockhopper might be coming! wow thats weird cuz every penguin i know has the same postcard :S what could it be? I got paid for epf too! But theres osmething odd on it. It has a message in PSA code, but theres no where to find PSA code anymore. So CP must be testing to see just how good at taking notes and being good watchers we are. I bet the message refers to a new mission! i got a epf paycheck!!!! it is so cool! woah mimo i just got sent an EPF PAYMENT!omg awesome we r gettin paid! 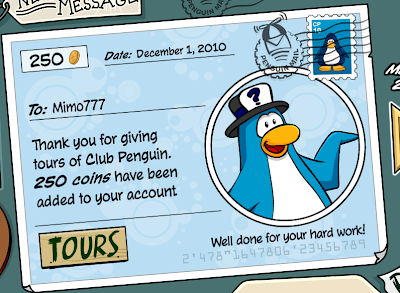 i didnt get the rockhopper post card but i got one that EPF paid me 350 coins! I got the same card! Odd. I got 350 coins for helping keep the island safe :O !! From the EPF ahaha. Wondering if anyone else got this postcard? I got a pay for Tour Guide AND Agent! You get 350 coins for being an agent and only 250 coins for being a tour guide. So AWESOME! OMG!!!! i got paid by the EPF!! did anyone got that? 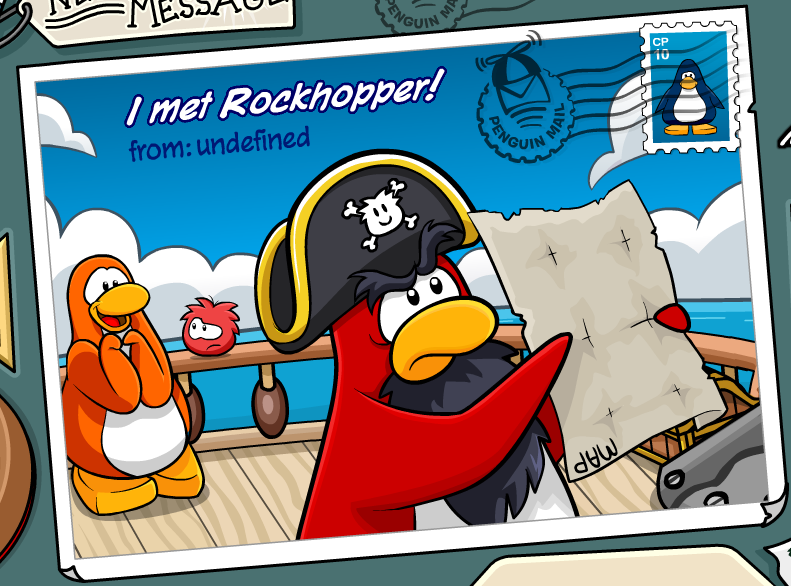 This was an actual postcard before, so maybe they accidently let the postcard out early for next month and rockhopper might come next month? No fair! 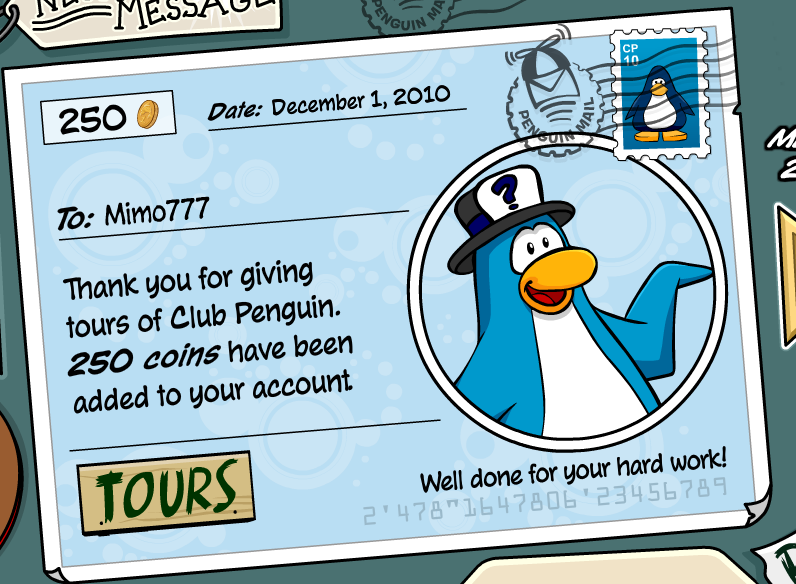 I got the EPF pay check but not the "I Met RockHopper" thing! Guess! Maybe you met Rockhopper I think you get that. -indiana742 P.S I didn't meet Rockhopper this year. 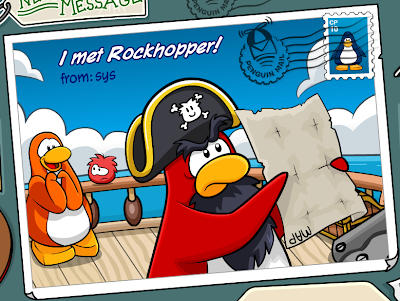 hey, i met rockhopper before, but i didn't get the rock hopper stamp! and i just checked, and i didnt get the rock hopper card 2! A computer sent you it on accident maybe. It's my guess, though. Oh, and penguin names can start with a lowercase letter. Beta people, if they typed in their name with a lowercase, it stayed like that. CP uppercases it now. Hey! y dint i get he rockhopper card?? I got paid but didnt get the postcard??? Suspicious! Yeah, I think it's supposed to look like that. Rockhopper is confused in the picture. Same with Mimo12309(my buddy). 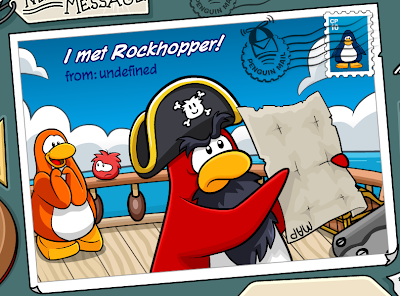 He met Rockhopper, but he didn't get the stamp. Wierd, eh? wow!i got one too!i was wondering wat it meant.i thought i might mean Rockhopper was on CP but his ship was not there.any ideas? I actually thought that one of my friends were called sys! (stupid me!) But then when i looked on here i realised that there wasnt a sys !! LOL ! !